Change the in game chat default ASAP.... I mean why mess with it in the first place? I've seen this posted in other threads and can confirm this issue. Both of my Japanese premiums, The Shinobi and Keni Ot Su have crews set to 50% now. I thought premiums were always supposed to have 100% crews. Why did this happen? I don't recall seeing anything about it in the release notes. For my T34 (tier 8 premium) at least, RNG has gotten FAR FAR worse. The tank is almost unplayable now. 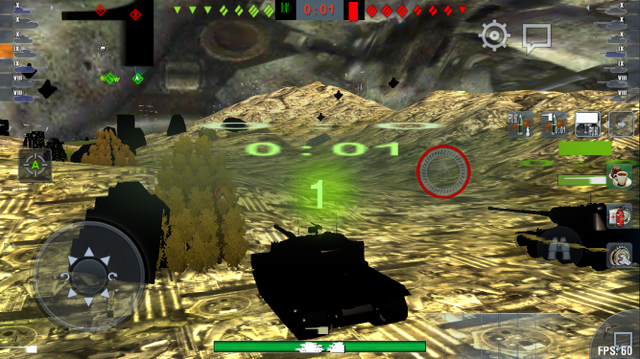 What did you do to my T34!!!! I'm noticing more lag at the beginning of the game: major FPS drops in the first 5-10 seconds, then it improves. I also find that I'm loading late into the match and often don't even see a countdown. The default to global chat is really, really bad and it has cost the reds the odd game or two where THEY chatted to global and we knew what they were doing. Also note Zennosha's post about the Victory being listed as a heavy in a game. Global chat default BLOWS!!! None of other selections even work!!!!! I dislike the new Japanese tank line. I'm only going to play it long enough to help get the prem bonus. I've ran into a lot of crashes since I updated at least 9 when I hardly ever experienced this before. I even run into more lag than before even when I'm under 200 ping and frame rate is low as well. This new version is the first one that can deplete my Nexus 4 battery even when my phone is plugged in. I checked my graphics/sound settings to make sure I wasn't running supper giga-rez settings; I'm not. For similar reasons, my phone now becomes uncomfortably hot when I play. My hands sweat and that affects gameplay. The global chat default is GLORIOUS for comedy purposes. Terrible for gameplay. But there is a strong comedic argument to be made for leaving it as-is, at least until the novelty wears off. New maps are pretty but continue WG's disturbing trend of removing bushes and concealment. The removal of the "info" button in the garage makes it much harder to compare tanks and equipment across different models. It is pretty funny. I'm glad I had trained myself to always just hit the Team button to send, instead of the Return key. Cool maps, terrible everything else. Weird, finally update got available, had no lag, neither bug problems, straight 20 pin, 60 fps all day. Plus one for the delayed start. I've stared at the pre battle splash screen waiting to spawn for up to the first 90 seconds of a match. The worst part is watching your teammates drop down to the bottom of the player list while you're waiting for WG to allow you to play. I can no longer see what I'm typing in the in-battle chat. Text box stays empty while I'm typing. Out of battle, in-game chat works correctly. Im playing on iPad 4. 1) Feels slower to respond even with good ping. 2) Weird rendering glitches. No screenshots yet. Auto aim switches targets and once in a while having seizures. Auto aim is getting worse with every patch since v2.2. 3) On average more bounces, aiming got more choppy. Feeling of reduced view range. 4) How do I change primary tank status now? Cant seem to find the buttons. Not thrilled with record button on main garage screen ether. Edited by yurtos, 12 December 2015 - 08:45 PM. Double tap on a tank icon to toggle primary status. Edited by Overload_ed, 12 December 2015 - 10:29 PM. Edited by DIRTYWARS, 13 December 2015 - 10:16 AM. Oh and the text sometimes looks like a high lighter colour it out.